As the son of a college football coach and a former student worker in the Notre Dame football recruiting office, I know what a “successful” recruiting trip is supposed to look like. 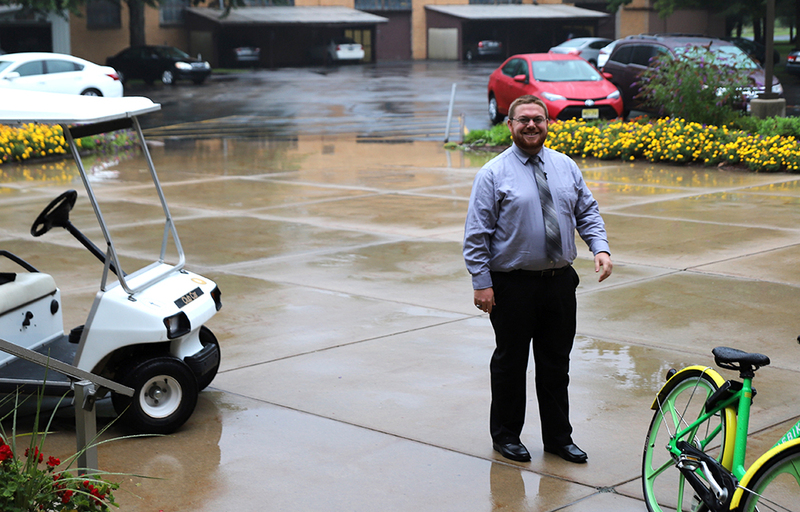 The prospect is driven around campus on a golf cart to be shown all of the sights, the nicest dorms and the best places to eat. There are meetings with academic support people to reassure the recruit (or more so his parents) that this school is a place where he can succeed in the classroom. There are meetings with position coaches who tell the athlete all about how well he fits into their scheme, how early he can expect to play, etc. And last, but certainly not least, the recruit will be taken into the stadium where he can put on a jersey with his name and number and see his face up on the jumbotron. All of this is to help build up excitement for the player, to show him how much interest the school has in him, and to help him visualize what it would be like to spend the next four years at the school. There is a sense that there is a product trying to be sold, whether it is the school, the team, the coaches. Coaches and assistants want the visit to go perfectly and so will spend a lot of time and energy making sure all of the details are just right. Making a visit to a seminary is much different. Whether the “prospect” is coming for a discernment retreat, an informal visit, or simply for a Come and See, the goal of a visit is not to sell a product. Nor is it a goal to create an atmosphere which will be exciting for the guest, in the hopes of making it more attractive. When I came to Moreau for a discerning retreat and again for my formal visit last year, the goal of the visits was simply to provide an opportunity for me to spend some time. Time for what? Well, time to join the community in common prayer, Mass, and at every meal. Time to ask questions of the guys currently in formation, and to receive honest answers. Time to pray alone in the chapel, to really listen to what God was calling me to do next in my discernment process. Time to sleep! Ultimately, there was the chance, for just a few days, to step out of the current world that I was living and into the life that I was discerning. And when I reflect back on that time, I remember that I just felt a great sense of peace. There was a great sense of comfort, a comfort similar to what I would feel when I went home to see family, or old friends. There was a camaraderie around the house that was easy to step into. Nothing was forced. I wasn’t been recruited. I wasn’t being shown just the best parts of the life. There was nothing fancy. I had the sense that I was stepping into the normal day to day life of the house, and that was very attractive to me. It felt like home. I have had the opportunity this year to be a host to vocations guests, and I have tried to offer them the same opportunities. Opportunities to spend time just living the life of the community, to join us in prayer, meals, and recreation. My role is simply to be present to the guest, answering questions, giving directions, sharing my story. I do not need to recruit. I do not need to convince him that this is the best place for him to be. That is between him and God. All I can (or want to) do is to provide each guest with an opportunity to experience the same peace I felt, and to feel like they are home. Mr. David Murray is currently a Postulant. He is studying theology at Notre Dame, and living with the Holy Cross community at Moreau Seminary. Previously, he taught high school science at Memphis Catholic High School. When he's not studying he enjoys reading, playing piano, watching and playing sports, and playing cards. He is originally from Bloomington, Illinois.